1. Rona R.J., Keil T., Summers C., Gislason D., Zuidmeer L., Sodergren E., Sigurdardottir S.T., Lindner T., Goldhahn K., Dahlstrom J., McBride D., Madsen C. The prevalence of food allergy: а meta-analysis. J. Allergy Clin. Immunol. 2007; 120 (3): 638–646. 2. Sampson H.A. Update on food allergy. J. Аllergy Сlin. Immunol. 2004: 113(5): 805–819. 3. Boyce J.A., Assa'ad A., Burks A.W., Jones S.M., Sampson H.A., Wood R.A., Plaut M., Cooper S.F., Fenton M.J., Arshad S.H., Bahna S.L., Beck L.A., Byrd-Bredbenner C., Camargo C.A. Jr., Eichenfield L., Furuta G.T., Hanifin J.M., Jones C., Kraft M., Levy B.D., Lieberman P., Luccioli S., McCall K.M., Schneider L.C., Simon R.A., Simons F.E., Teach S.J., Yawn B.P., Schwaninger J.M. Guidelines for the diagnosis and management of food allergy in the United States: report of the NIAID-sponsored expert panel. J. Allergy Clin. Immunol. 2010; 126 (6): 1–58. 4. Fedorova O.S., Ogorodova L.M., Solodovnikova O.V., Gonsorunova D.S. Pediatriya = Pediatrics. 2009; 2 (87): 116–125. 5. Ben-Shoshan M., Clarke A.E. Food-induced anaphylaxis: Clinical highlights and knowledge gaps. Paediatr. Child. Health. 2012; 17 (1): 29–30. 6. Mills E.N., Mackie A.R., Burney P., Beyer K., Frewer L., Madsen C., Botjes E., Crevel R.W., van Ree R. The prevalence, cost and basis of food allergy across Europe. Allergy. 2007; 62: 717–722. 7. Potemkina A.M. Diagnostika i lechenie allergicheskikh zabolevanii u detei [Diagnosis and treatment of allergic diseases in children]. Kazan, Kazan University, 1990. 8. 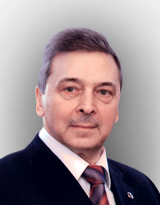 Sergeev A.V., Mokronosova M.A. Allergologiya = Allergology. 2002; 1: 51–55. 9. Varlamov E.E. Klinicheskoe znachenie, prognoz techeniya i effektivnost' lecheniya pishchevoi allergii u detei rannego vozrasta s atopicheskim dermatitom. Avtoref .diss. k.m.n. [Clinical significance and prognosis of the treatment effectiveness of food allergy in infants with atopic dermatitis. Abstract for Dissertation for the degree of Candidate of medical science] Moscow, 2009. 32 p.
10. Cooper P.J. Interactions between helminth parasites and allergy. Curr. Opin. Allergy Clin. Immunol. 2009; 9 (1): 29–37. 11. Strachan D.P. Hayfever, hygiene, and household size. BMJ. 1989; 299: 1259–1262. 12. Bronshtein A.M. Malyshev N.A. RMZh = Russian Medical Journal. 2004; 12 (4): 21–23. 13. Ogorodova L.M., Freidin M.B., Sazonov A.E, Fedorova O.S., Gerbek I.E., Cherevko N.A., Lebedeva N.Y. A pilot screening of prevalence of atopic states and opisthorchosis and their relationship in people of Tomsk Oblast. Parasitol. Res. 2007; 101: 1165–1168. 14. Wong G.W., Mahesh P.A., Ogorodova L., Leung T.F., Fedorova O., Holla A.D., Fernandez-Rivas M., Clare Mills E.N., Kummeling I., van Ree R., Yazdanbakhsh M., Burney P. The EuroPrevall-INCO surveys on the prevalence of food allergies in children from China, India and Russia: the study methodology. Allergy. 2009; 65: 385–390. 15. Position paper: Allergen standardization and skin tests. The European Academy of Allergology and Clinical Immunology. Allergy. 1993; 48 (Suppl. 14): 48–82.